Hare & Tortoise is a racing game with resource management mechanics and lots of counting. Originally released in 1973 by Intellect Games, the game has quite and long and popular history. 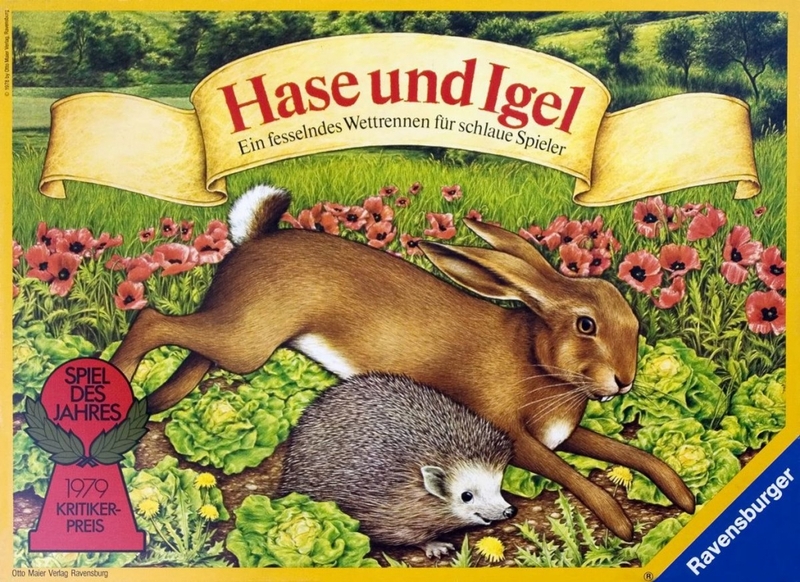 A few years later, in 1975 is was released in Germany and became a huge hit under the title Hase und Igel where it became very popular. So much so that, a few years later it became the very first winner of the Spiel des Jahres award, an annual German-based board game of the year award. In Germany, the race is about a hedgehog who just wants to finish to get to his wife. As advertised on the Intellect Games box, not using dice to determine movement was a big deal. You’ve read these retro game posts a lot before (….right?) and most of them use a roll-to-move mechanic. So this game showing up on the scene with this hip, new movement mechanic must have been quite the stir. Alright, Intellect Games. Chill out on yourself. It’s not that ingenious. It is still available for print by Gibson Games in the UK, Ravensburger in Germany and by Rio Grande Games in the US. As the overly confident Intellect Games mentioned, this game uses carrots. In short form, spend carrots to move forwards OR backwards. Each player has a race card to let them now how many carrots must be spent to move however many spaces. No….. different kind of race card. This one is much more wholesome. 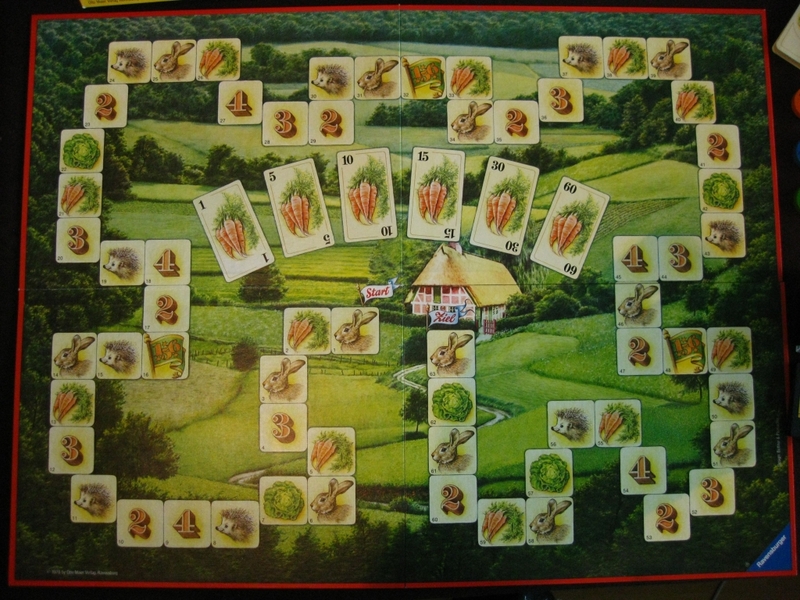 The number of carrots players start with is around 60-90 and depends on the number of players. Players also start with 3 lettuce cards, which we’ll get to later. 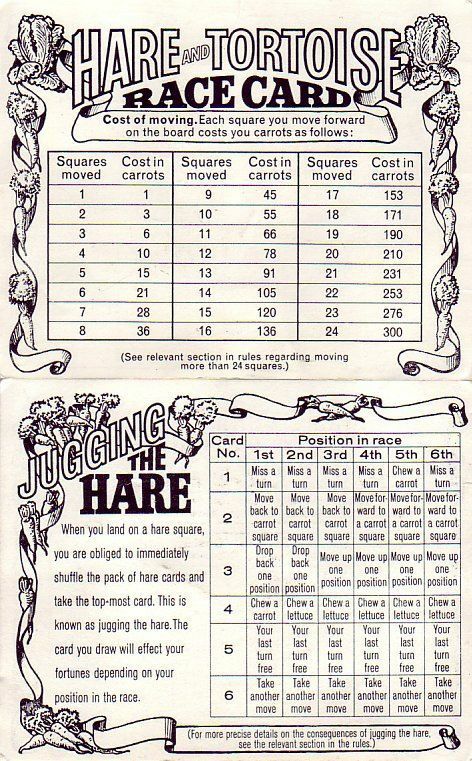 There are a variety of getting more carrots throughout the game: going backwards, landing on a numbered space that is also your position in the race, or by jugging the hare as mentioned on the race card. The rules for the game vary from version to version, but the basics stay the same. Get to the end of the race first, but also have fewer than your race position in number of carrots remaining AND have no lettuce. So, for first place, have less than 10 carrots when you reach the finish line. Carrot space: Gain or lose 10 carrots. Lettuce space: Skip a turn to discard a lettuce and gain 10 times your race position in carrots. Number space: At the start of your next turn, if your race position is the same as your number win 10 times that many carrots. 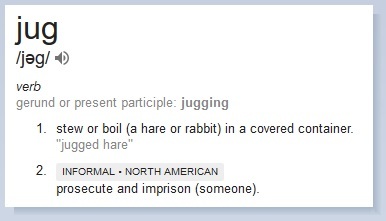 Hare space: Jug the hare by drawing a Hare card. The rules for this vary a lot, but it’s mostly a Chance card with a variety of effects. Tortoise space: Moving backwards onto a Tortoise space gains you 10 times the number of spaces you moved backwards in carrots. So it costs a lot to move, but lots of ways to gain carrots. But gaining too many carrots can be bad, because you need to reach the end with fewer than 10 to win. So it’s a balancing act of carrots. 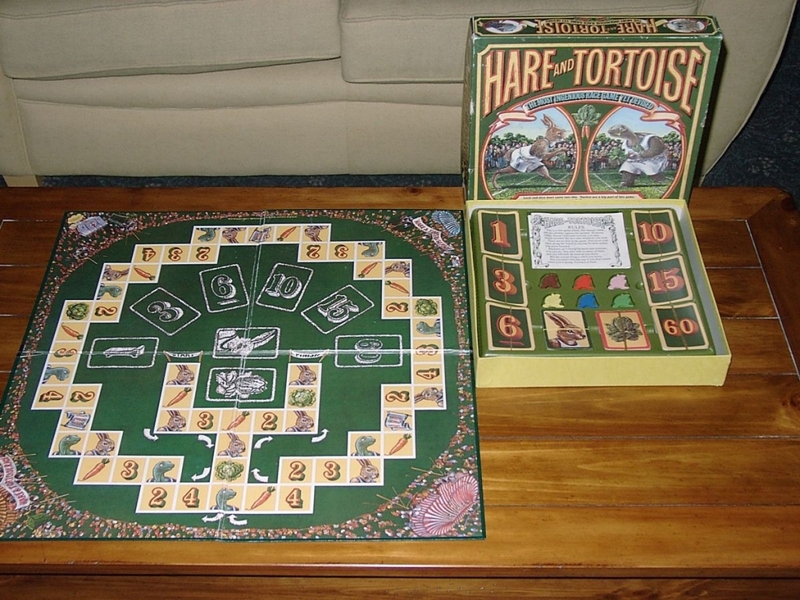 Overall, Hare & Tortoise is a pretty clever game, much more so than other games of the time. Still, with a game this math heavy, it’s going to cause a lot of analysis paralysis for anyone but the most casual player. Regardless, major props to Intellect Games for developing something new. Winning the first Spiel des Jahres and also the Dutch version won the “Speelgoed van het jaar” (Toy of the Year) award in 1979. Big year for Hare and Tortoise! 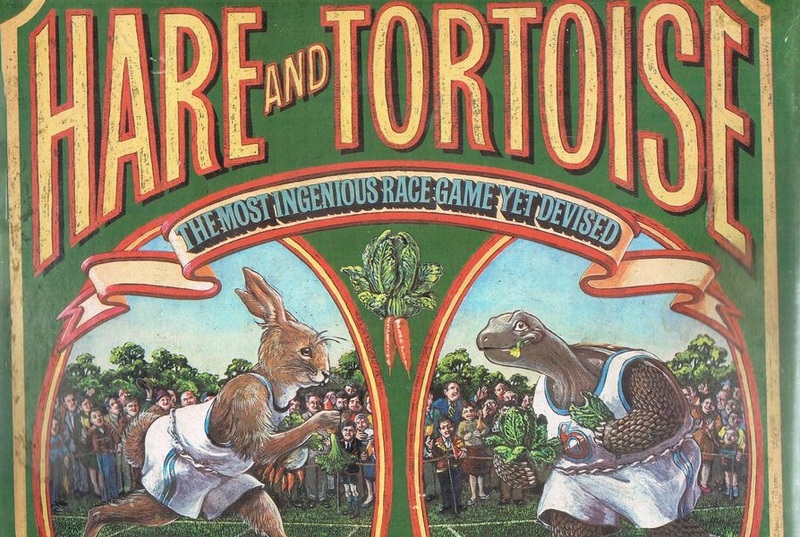 Would you believe there are tournaments for Hare & Tortoise? You should! Because there is. The Mind Sports Olympiad holds the official world championships. Although it seems to have fallen off the roster in recent years. ~Am I alone in thinking it’s supposed to be Tortoise & Hare?